“In 2015, a total of 268 psychologists, lawyers and other professionals dealing with child welfare cases, sent a report of concern to the then incumbent Minister for Children Solveig Horne. In spite of this report and a considerable number of cases in the European Court of human Rights in Strasbourg, little has happened. One case even ended up in “The Grand Chamber” at the ECtHR, where only a small number of cases are accepted. Here, only cases of great importance to human rights throughout Europe are considered and here also, a Norwegian case is being reviewed. Many years ago, Alf Nordhus, a Supreme Court Lawyer would not take on any Barnevernet cases – because ordinary law did not seem to work there. Lawyer Bryn-Tvedt wrote in Aftenposten (Norwegian newspaper) that it seemed as if the help had to come from abroad! Meanwhile, Norway’s child welfare system (NCWS) continues to expand its operation with a 27 billion (NOK) budget, with well over 5,000 employees and increasing, and 15,820 children are taken from their biological parents – and many others have been placed in emergency homes, but returned. The latter have of course also been severely traumatised with impaired confidence in the parents who have not been able to help them against the superpowers. All this happens on the basis of a family policy that started in the seventies. This and more, is likely to have caused this large group of professionals to be frightened and to react. Otherwise, it is unheard of that they would go public in this way, and that they do so in the way that one of their leaders, psychologist Einar Salvesen writes to the Christian leaders in an interview with Dagen (Norwegian newspaper) on 18 September 2018, “Hope lies with the Christian people.” In the European debate, he has noted that it is especially Christian Eastern European politicians who have engaged in this. Salvesen also believes that Norwegian Christian leaders should get more engaged. “Getting the Christian people to enter the arena is the only hope I have. It is time that Christian leaders sit down with us professionals that are engaged in this and find out what we can do together,” says Salvesen. These are dramatic statements, like “only hope” by a skilled man who has been in hard fights to help families and children in battle with the state apparatus. The statement indicates that the professionals have in one way or another met ‘a spiritual wall’ they are unable to break through with merely professional knowledge, so now they turn to Christians. That may be correct! My advice is at least, a committee within Christian organisations is set up that works in this area, that helps to lessen what is currently happening. And, a creator and theological spotlight of this attack on the “first kingdom” which is fundamentally important for both parties, in order to reach out to other Christians with requests for help for all the families that are attacked. 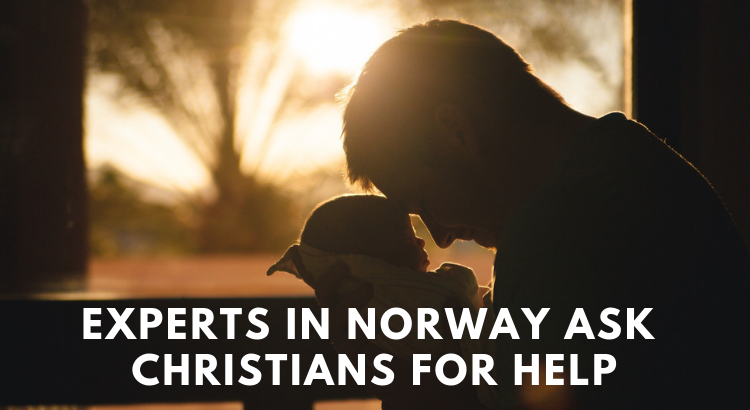 Also, ask for people to keep [Norwegian citizens] families in their daily prayers. Finally, give guidance to preachers on how to address this from their pulpits in a biblically correct manner. Collaboration with professionals can be considered in relation to facts, but a Christian’s help and solution must be based on the Bible and biblical thinking. The ideological root of this disaster, not only in Norway but in many Western countries, is in my opinion, a systematic attack on every nation’s foundation: the family – and has its roots in the apostasy of Christians in prayer and preaching, but it also has a great deal to do with the Frankfurter ideologists who were fully conscious and profoundly thoughtful, but their thinking has led to attacks on Western civilization for at least 100 years. Norwegian Article in Norge IDAG.